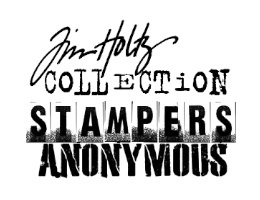 Tim Holtz Rubber Stamp THE CREATIVE p4-1432 at Simon Says STAMP! P4-1432 / 5.4 This item is on reserve until If you would like to reserve this item now, you may purchase it now with the rest of your order. We will hold your order now and ship your entire order as soon as this item is back into stock. If you would like your order to ship now, please place this item on a separate order. Success, Tim Holtz Rubber Stamp THE CREATIVE p4-1432 has been shared! This stamp is neatly trimmed and already mounted! It measures approximately 2.5 x 4.5 inches. "The Creative is the place where no one else has ever been. You have to leave the city of your comfort and venture into the wilderness of your intuition. You can't get there any other way, only by taking risks and by not quite knowing what you're doing. What you'll discover will be wonderful, what you discover will be yourself."